Especially when you live in a harsher environment, you may not get outside pretty much. People in these areas tend to stay inside a great deal of time. They rarely get enough sunshine and fresh air in their lives. This is the point where skylights are a great choice for these people. 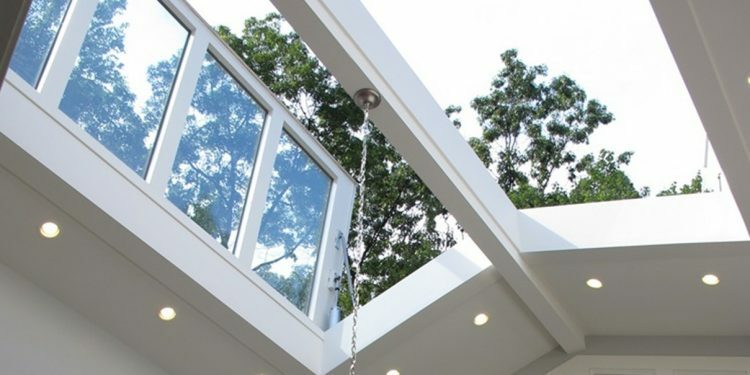 They give a variety of benefits and you should keep in mind that those skylights are great for both of your home and heath. Besides the fact that those lights can add a focal point to your room and brightness to your home, they can also improve energy efficiency and have a really great psychological impact. If you are exposed to daylight, this will facilitate your body to produce vitamin D. A lot of people has deficits of this vitamin especially because the long winter and the resulting shorter days. If you add a skylight to your home, the body`s exposure to natural light will increase the levels of vitamin D.
The skylights will also help you in producing serotonin that will regulate your mood in order to keep you happy and positive. The natural light that the skylight produces also helps limiting the Seasonal Affective Disorder during the dark days and cold winters. For those who usually stay in spaces with fluorescent lights, this environment can be harmful to the eyes. Natural light is a better choice because it will allow your eyes to focus with a less strain and exertion. Natural light also helps you in stabilizing your internal clock. This is a good thing for persons that have troubles sleeping. Natural lights add a connection to nature and the outdoors, besides the fact that it brightens a space. The room may appear to be bigger thanks to the natural lights. The bright spaces are inviting and can provide a relaxing ambiance for your home. One of the main benefit of skylights in your home are the cost savings. Those skylights will add brightness to your home and this means you won`t need to turn on artificial lights that often. This means that you can save a bit on the energy costs and your mood will be improved because of the benefits that natural light gives to you. Exposing yourself to natural light can reduce stress and boost your motivation. It can also boost your energy too. If you want to provide your family with the best working conditions than the skylights are a great idea to do so. A skylight can bring daylight into the core of your home making it a happier and healthier environment. Those skylights are a great addition to your bathrooms because your make-up should be applied in natural light. Besides all of those benefits that a skylight can bring to your house, you will be able to watch the sky from your bed which is a really great feeling. This activity will fill you with energy and dreams.